If you like to read, you may already be an audiobook listener. Audiobooks have grown in popularity, thanks to easy downloading, lower prices, and broader selection. Many popular new releases, as well as back catalog titles, are available in audiobook format that you can enjoy on your stereo, computer, iPod, iPhone, and iPad. More and more people are discovering the joys of listening to books when commuting, walking, exercising, or just lounging on the deck. June is audiobook month, so if you haven’t given them a try, now’s the perfect time. According to the Audio Publishers Association (APA), the audiobook market has doubled in the past 20 years, in part because of the easy and near-instant accessibility of digital downloads, which represent about $1 billion per year—about 4 percent of the total book market. With the ubiquity of portable devices, such as iPods, cellphones, and other audio players, it’s now easy to take a book with you wherever you go and listen on the move. There are many ways you can get audiobooks, ranging from CDs to a variety of digital formats. Here’s how you can listen to the latest best-seller. For many, CDs are still the preferred way to get audiobooks. There are two kinds of CDs you can buy. Regular audio CDs are easy to use, as you can play them on any CD or DVD player, at home or in a car. But they can be unwieldy because average books ranges from about ten to twenty hours, meaning they take up roughly eight to 16 CDs. With audio CDs, you can also rip the book to play on your portable device. The other type of CD for audiobooks is MP3 CD. These discs contain already-compressed MP3 files of the audiobook, ready for you to load into your iTunes library, or to play on many home and car CD or DVD players that support the MP3 CD format. The advantage of MP3 CDs is that you only need one or two such CDs to hold an entire book, and quality isn’t as much of an issue with spoken word content. Unfortunately, MP3 CDs haven’t caught on enough yet, and aren’t available for very many books. 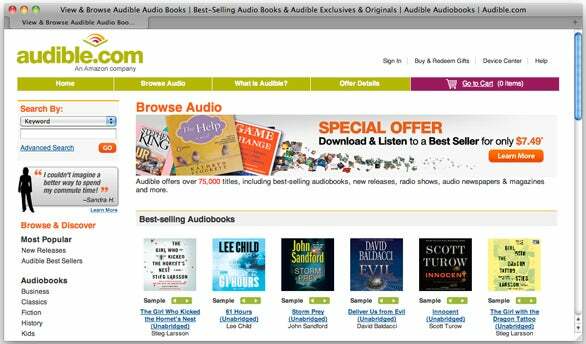 When Audible started selling downloadable audiobooks in 1997, it created a new market that has grown steadily. Last year, 29 percent of audiobook sales were via downloads, up from 23 percent the previous year, according to the APA. The rapid growth of smartphones, such as the iPhone, means that more people carry around devices they can use to listen to books. 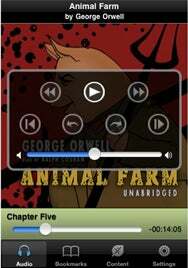 Besides Audible, you can download audiobooks from the iTunes Store (Audible actually provides the content). Individual books can be expensive, but monthly subscriptions with Audible can ease the pain on your wallet. eMusic also sells audiobooks, but in DRM-free MP3 format, making them easy to move around to different devices (Book from Audible and iTunes are protected by DRM limitations). Other sites sell audiobooks directly, and Librivox offers “amateur” audiobooks for free; these are created by volunteers from public domain texts, and their quality varies. Finally, you can find a number of audiobooks serialized as podcasts, in the Literature sub-category of the iTunes Store Podcasts section. 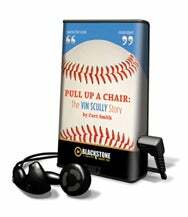 One company, Blackstone Audio, has released a number of iPhone apps that are audiobooks combined with additional content, such as quotes, information about the books and authors, quizzes, and more. These books have nice prices ($10 or less), but you’ll have to find them in the App Store (search for Blackstone), as they won’t show up in the iTunes Store Audiobooks section. The Playaway, from Findaway World, is a pre-loaded digital audio player that comes with a single book. They are popular with libraries, schools, and even with the military. The advantage is that you don’t need to worry about loading digital files, but you can only, of course, listen to the book you get. These devices are very expensive—prices range from $40 to $115—but you may find them available for loan in your local library. Overdrive is a system used by libraries to “loan” audiobooks to members. Designed to work with Windows Media files, a recent version of the company’s program, used by libraries, can convert some of these to work on Apple devices, but this process is not reliable, and not widespread. As part of the “June is Audiobook Month” promotion, the APA is offering some ways to get a taste of a variety of books. On the Audiobook Community Website, a sort of forum and social network for audiobook fans, you’ll find a number of free excerpts and full books during the month. Check out the Get Caught Listening section for six audiobook segments each Tuesday in June. Updated to 7:40AM pacific to correct that the audiobook market has doubled in the last 20 years, not 10 years.